Mounts to 1 1/8inch steerer tube for lights, computers etc. 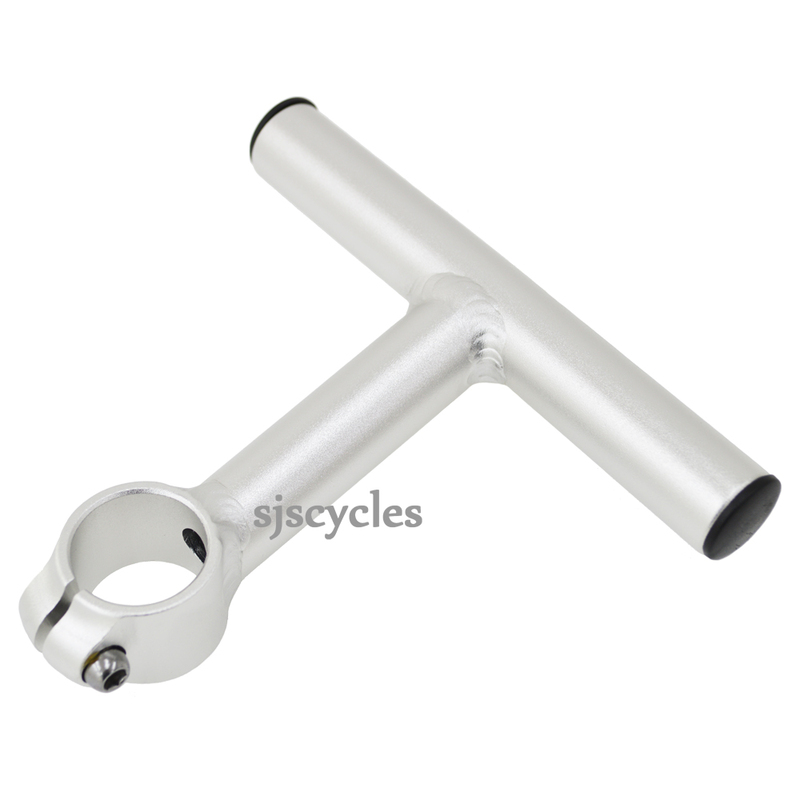 A really useful T shaped bar for lights and computers when handlebar space is at a premium. Perfect for mounting a Rohloff / Sram shifter when using a drop bar set up, it goes in place of a headset spacer. Single clamp allen key bolt at rear. Also does 0 degrees mean that it will be at 90 degrees to the steerer tube. My idea is to cut off the front bar , use it sideways as per I think the American Doohicky as I think its called. Yes the extension bar is 22.2mm. The 0 degrees means it will be at 90 degrees to the steerer tube,. Do you have a shim to enable me to use this on a 1" ahead steerer? We do indeed have a shim suitable for this purpose, they are SJSC part number 3618. I need a thorn accessory bar that fits on a c.a. 34 mm pipe. Do you have this (or filling). Do you have a dealer in The Netherlands please ? Unfortunately all of the Thorn Accessory bars have been designed to fit to tubing that is 28.6mm in diameter so unfortunately there isn't one that would fit over 34mm. We don't have a dealer in the Netherlands but we can ship internationally.